A noisy garage door can be quite an annoyance. 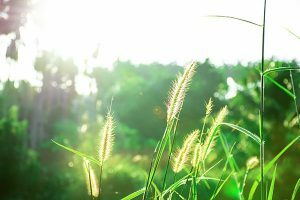 Even if you may not notice its clatter during the day, come night time a loud garage door can really disrupt your sleep pattern. 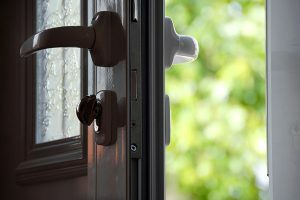 Luckily there are some fixes to reduce the amount of vibrations your door makes when it opens and closes. Simply tightening loose hardware, lubricating metal parts and adding anti-vibration pads can help cut down on the noise. If you’re looking for methods to quiet a noisy garage door before it drives you crazy – look no further. There are many different parts of a garage door system, and many things a homeowner can do to quiet down a noisy garage door. 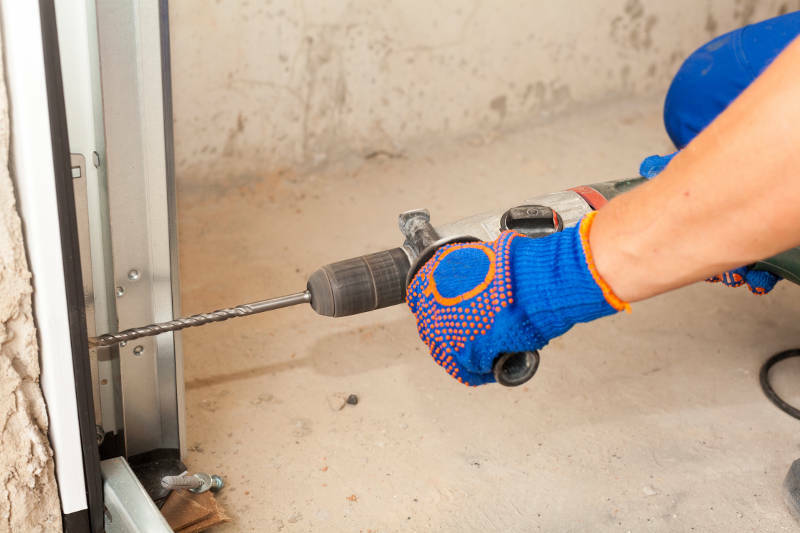 First, start by using a wrench or socket to tighten all screws and bolts on your door, track and opener. 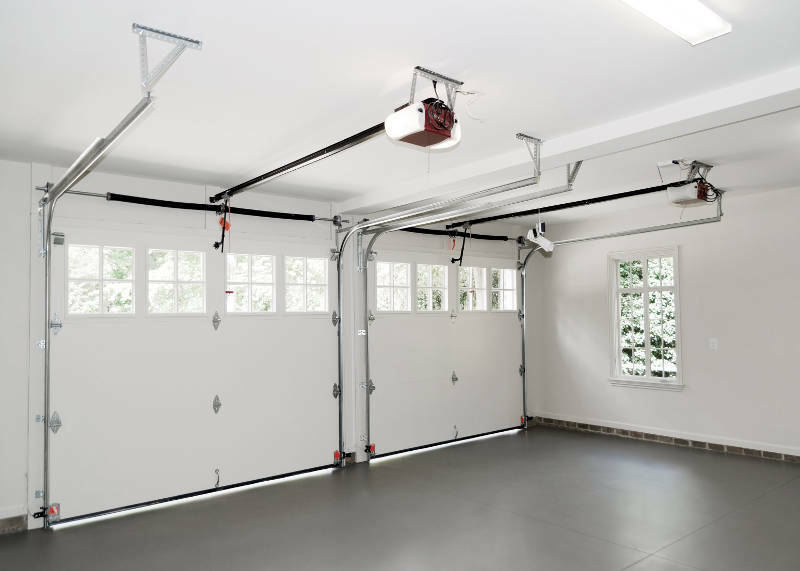 Daily use of your garage door can cause any one of them to loosen – and loose links can cause the garage unit to vibrate or rumble when you’re opening or closing the garage. Most garage doors typically have 5 or 6 metal or nylon rollers on each side of the track. Inspect your rollers and make sure that they roll (not slide) through the track. 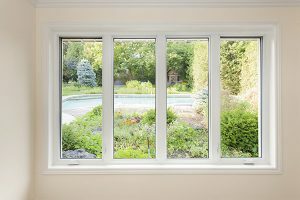 If any sliding occurs or they appear to be worn or damaged, they should be replaced. It’s also a good idea to check out your tracks. Your garage door tracks can collect dirt and debris over time which can attribute to your noisy garage door. Make sure to get rid of any visible debris you may find on your tracks. If you find that your rollers are worn and need replacing, it’s a good idea to replace them with nylon rollers. 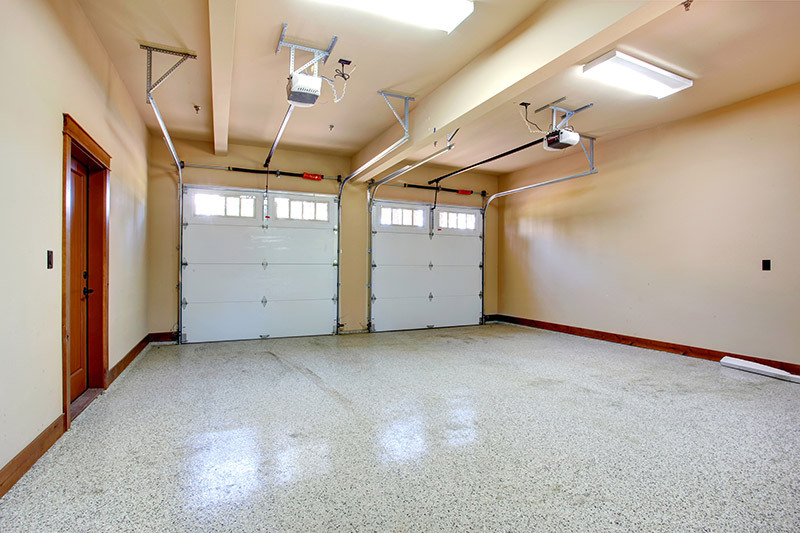 When moving along metal tracks, worn metal rollers can make for quite the noisy garage door. It’s best to replace your metal rollers with nylon rollers because they’re quieter and don’t require recurrent oiling. Although your rollers are more likely to be worn, your hinges are still susceptible to wear-and-tear. 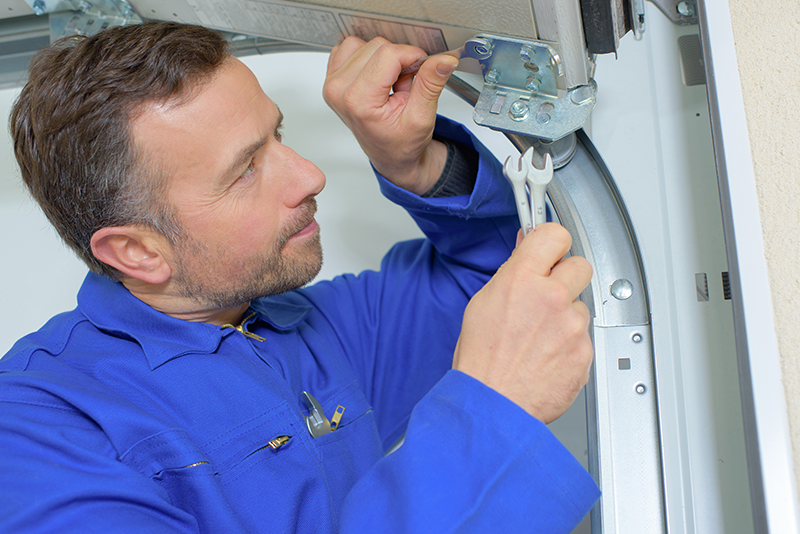 Replacing a worn-out hinge is a sure way to quiet a noisy garage door. Inspect your garage door hinge closely for cracks. If the bracket hole of the hinge has damage or become oblong, it’s definitely time to replace your hinge. If your hinge seems to be fine, go ahead and lubricate it to keep it working properly. The moving parts of your garage can cause vibration if they have to work harder to operate. You’re probably familiar with that loud squeaking noise of grinding metal. By simply applying a lubricating spray like Clopay Synthetic Pro Lube at lease twice a year, you’ll make your garage door move a lot more smoothly. It’s recommended to use a lubrication made specifically for garage doors because other lubricants such as oil or grease don’t work as well and can pick up dust and debris. Make sure to also lubricate the rollers, hinges, tracks and springs. Spray the top of the springs generously and let the oil seep down to the base of the springs. Also be sure to spray along the inside of each track and around each roller. Once you’ve tuned-up all worn door parts, it’s time to take a look at your garage door opener system. If your garage door opener has a chain drive, check to make sure the chain hasn’t come loose. A loose chain can make loud sounds and cause jerky movements. After making sure your garage door chain is tight, use a metal lubricant on it so that it moves freely around the gears. If you have a belt drive, do not apply any lubricant. Consider installing a garage door opener with a belt drive if noise is an issue because belt drives operate more quietly than chain drives. When replacing your garage door opener it’s highly recommended to consult with a professional garage door company. Another part of your garage you need to inspect is your springs, as it’s possible they’re the source of your noisy garage door. Your garage has two different types of springs: extension springs and torsion springs. Extension springs are found above the upper tracks on both sides of the garage door and torsion springs around found above just above the closed door. Look to see if any of these springs are broken. If broken, you’ll want to call a professional for replacement because working with these springs is very dangerous due to the high amount of tension they’re under. Even if operating properly, your garage doors can still be loud. 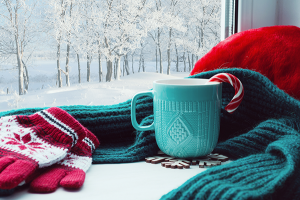 Depending on what your garage is made out of, the sound of the doors opening and closing can be amplified and vibrate through the garage (especially in concrete garages). Anti-vibration pads can be installed under your opener bracket to isolate the opener from the garage rafters. These rubber pads will help to absorb vibrations that make your home rattle when your garage opens and closes. If your garage door is unbalanced it can be quite noisy and become decreasingly functional. Hopefully you’ve learned that there are some easy fixes to a noisy garage door just by inspecting and adjusting the right parts. Garage doors can get quite complicated so when in doubt, seek help from a professional. For professional replacement and installation, get your free garage door quote with Feldco.